КАРАГАНДА. КАЗИНФОРМ – Председатель ОО «Греческое этно-культурное объединение Понтос» города Темиртау Деспина Касапиди выразила уверенность в том, что на предстоящей сессии АНК Первый Президент выступит с новыми идеями, основанными на глубоком анализе общественно-политической обстановки в стране, передает корреспондент МИА «Казинформ». По словам Деспины Касапиди, Елбасы является основателем и вдохновителем Ассамблеи народа Казахстана. «Его главная мысль: голос каждого этноса должен быть слышен. Роль Первого Президента страны остаётся определяющей. Именно с его именем связан высокий авторитет Ассамблеи не только в Казахстане, но и в мире. Благодаря Н.А. Назарбаеву АНК приобрела конституционный статус и сейчас развивается как главный инструмент гражданского общества», – говорит председатель ОО «Греческое ЭКО Понтос». Также она рассказала о том, чего ожидают представители этно-культурных объединений от предстоящей очередной XXVII сессии Ассамблеи народа Казахстана. Прежде всего, они ждут ясного заявления сессии о сохранении курса на единство всех этносов, о приоритете целей прогресса и всемерного укрепления социально-экономического положения страны, о твёрдом курсе на консолидацию общества вокруг задачи вхождения в сообщество наиболее развитых государств мира, о наращивании темпов социальных преобразований в соответствии с 5 инициативами Елбасы. «Думаю, председатель АНК Первый Президент выступит, как это не раз бывало, с новыми идеями, которые всегда основаны на глубоком анализе общественно-политической обстановки. Жду постановки задач перед Ассамблеей по интенсификации адресной работы с различными группами населения, прежде всего, социально уязвимыми, акцентирования внимания на подготовке молодежи к новым вызовам и укреплении преемственности поколений на основе положений, высказанных в статье Елбасы «Семь граней великой Степи», – сказала Деспина Касапиди. NUR-SULTAN – Almaty’s Esentai Mall will be offering a system for value-added tax (VAT) refunds on purchases made by foreign citizens, said marketing director Olga Komissar at an April 15 meeting with journalists, reported Forbes.kz. Kazakhstan’s VAT rate is 12 percent and applies to revenues derived from the sale of goods and services within the country and the import of goods. Komissar previously introduced tax-free shopping at Moscow’s Tsum shopping centre, increasing the percentage of foreign shoppers at the mall to 20 percent. She intends to attract visitors to Kazakhstan from three priority areas. “Tourists from China often seek out major fashion brands, lower prices and better deals on luxury goods. Secondly, we chose Arab states and, specifically, cities from which tourists fly directly to Kazakhstan, such as Dubai, which is close to Saudi Arabia and Qatar. Some may say that Kazakh tourists fly to Dubai for their shopping, but, upon price comparison, it turned out that Dubai is more expensive. Our third market is the Commonwealth of Independent States, including Russia and Uzbekistan,” she added. Kazakhstan’s tax rebate programme will launch on a broader scale in 2022 at airports in the capital, Almaty and Shymkent. Refunds will range from 7-22 percent of the purchase price and depend on the size of the VAT and tax-free operator fee. Komissar also presented Esentai Mall’s new marketing strategy, in which the shopping centre, marking its seventh year, will position itself as a tourist attraction. “What we are saying is that, upon arriving at Almaty, you can relax at Shymbulak [ski resort], reside at the Ritz-Carlton [hotel] and go shopping at Esentai Mall,” said Komissar. A loyalty programme for clients of Esentai Mall, the Ritz-Carlton hotel and Shymbulak ski resort will start in May. The shopping centre is also testing its Personal Shopping Service programme, in which personal stylists select clothes for shoppers. The shopping centre will also be opening a concept store, added Deputy General Director for Retail Development Madina Abilpanova. “This will be a store where trends will be displayed before they reach the masses. In this way, we will cultivate a culture of fashion in our community,” she said. NUR-SULTAN – Kazakh school children aged 11 to 15 now have the opportunity to win a 10-day trip across Kazakhstan by expressing what they love about their home region. The Samruk Kazyna Social Development Trust recently launched a national competition asking participants to write an essay or poem or produce a film describing what they love about their home town and what they would like to change about their home region. The contest will choose 600 winners who will be divided among three trips. The contest is open to all children, but a percentage of winners will be chosen from remote regions and socially vulnerable groups. Among the winners will be 500 children of employees of Samruk Kazyna Sovereign Wealth Fund industrial enterprises and plants from remote settlements, children brought up in large, low-income or single parent families and children with good academic performance. Fifty children from across Kazakhstan will be chosen on a competitive basis as well as 50 children from among the representatives of the Kazakh diaspora from other countries, whom the fund will choose in cooperation with the Otandastar Fund. The winners will travel by train for 10 days across Kazakhstan to visit five cities. 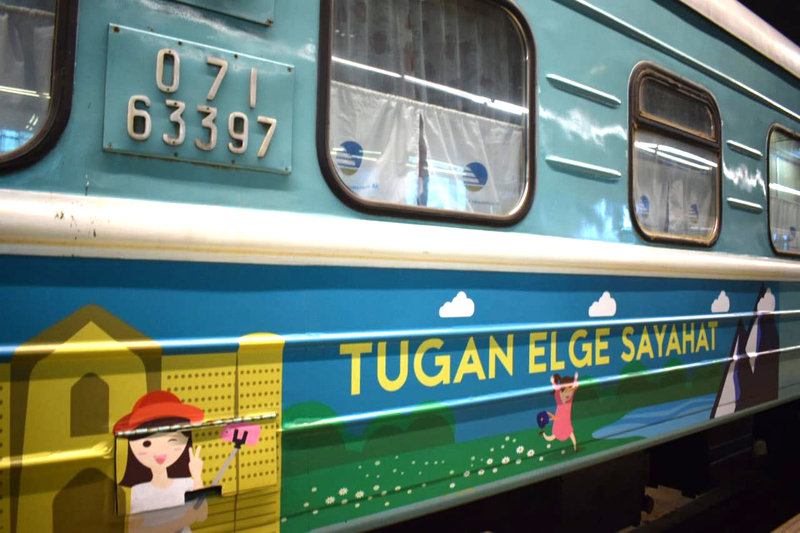 The contest is part of the Tugan Elge Sayahat children’s excursion train project and will include three trips. The winners will visit destinations on the Nur-Sultan – Baikonur – Taraz – Almaty – Balkhash – Nur-Sultan route. The trips will also include visits with hobby groups and intellectual clubs, English language courses and sports games. “The project is aimed at the comprehensive development of children, increasing interest in the outside world, studying historical and architectural monuments of the country and strengthening patriotism,” reported the fund’s website. “Participants whose work is different in content, unique and has artistic taste and originality of presentation will have the opportunity to go on the excursion tour across Kazakhstan,” reported the website. Entrants may submit one essay, film or poem by May 17 via e-mail to poezd2019@list.ru. Winners will be announced by May 25 while the first trip begins June 1, according to Samruk Kazyna Trust’s Corporate Communications Department Director Miras Irgebayev. “The number of children participating in the excursion tour is growing every year. 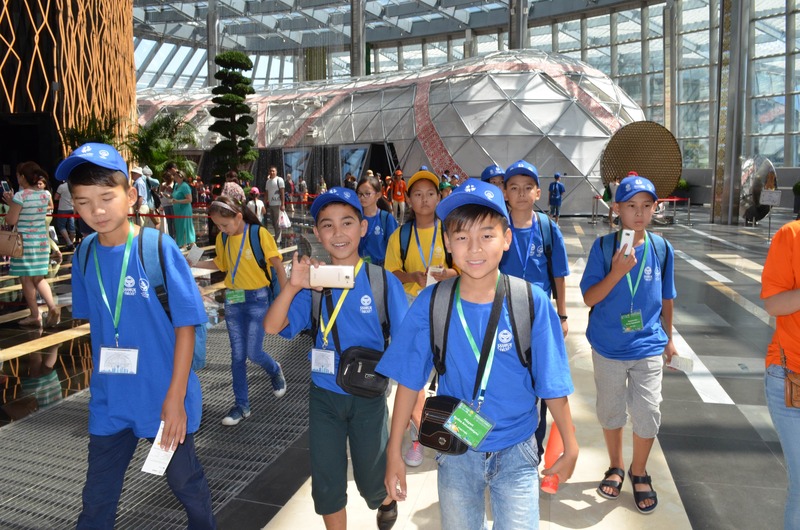 In 2016, 120 children went on a tour across Kazakhstan; in 2017, 400 and in 2017, 600 children,” said Irgebayev. АТЫРАУ. КАЗИНФОРМ – В Атырау завершился ежегодный благотворительный забег «Atyrau Marathon 2019», в котором приняли участие более 50 военнослужащих регионального командования «Запад». Об этом передает МИА «Казинформ» со ссылкой на пресс-службу Минобороны РК. В этом году забег стал самым массовым и собрал почти три тысячи участников со всех регионов Казахстана и зарубежья. Участникам предстояло пробежать дистанцию в 42, 21, 10, 3 и 1,2 километра. На дистанции в 3 км победу одержал офицер управления командующего войсками регионального командования «Запад» подполковник Т.Ахметов. В тройку призеров вошел старший сержант А.Иманов, военнослужащий отделения Военной полиции Атырауского гарнизона. Победителям достались денежные призы и подарки. Все участники получили памятные медали. NUR-SULTAN – Almaty entrepreneurs Nursultan Magzumov and Ulugbek Sharipov are promoting the culture of Kazakh men wearing suits by producing a high-quality, stylish and affordable clothing line. Nursultan Magzumov and Ulugbek Sharipov. Photo credit: Shoqan Company’s Facebook page. The team, in conjunction with the Kazakh producer Eric Tastembekov, founded Tumar Qazaqstan in 2016. In January 2017, they registered the Tumar trademark of men’s watches and launched sales. As the product met market demands, the entrepreneurs decided to create a clothing line under the Shoqan by Shoqan Ualikhanov brand, reported forbes.kz. “An additional proposal, which was incorporated in the price of the product, played its role. For 15,000 tenge (US$39.50), the buyer received a set of watches, a brand pen and a leather purse in a gift box. We successfully chose the moment to start sales, which was on the eve of Feb. 23 (Defender of the Fatherland Day in Russia, and still traditionally celebrated in Kazakhstan as an informal Men’s Day), and the first set of 1,000 quickly sold out in six weeks,” said Magzumov. The entrepreneurs chose to produce men’s suits due to their interest and love of fashionable classic clothing and desire to prove that high quality, stylish items can be produced in Kazakhstan. “Talking about the Shoqan brand, the main idea is to instil the culture of wearing a suit as casual wear in Kazakhstan. We want to prove that it is fashionable, beautiful and comfortable. In the wardrobe of a modern man, there is a place for several suits. In this case, a high quality product does not necessarily have to cost unthinkable money. At the same time, it is not quite true to say that we want to conquer the mass market. The target audience of Shoqan is ambitious people who know their value and want to look stylish,” said the entrepreneurs. The company’s name was not chosen accidentally. Shoqan Ualikhanov was a prominent 19th-century intellectual and they wanted to pay a tribute to the Kazakh scholar. The company subsequently decided to expand production with leather shoes, shirts and other accessories creating a unique place for costumers, where they can fully create their look with professional help. The company has 11 boutique studios, two sewing production facilities in Kazakhstan and China and 30 employees. It works in ten Kazakh cities – Aktobe, Almaty, Atyrau, Karaganda, Oskemen, Oral, Petropavlovsk, Shymkent, Taraz and the capital – and recently opened a branch in Moscow. Nearly 70 percent of its products, including shoes, are currently manufactured in modern factories in China, while individual tailoring and corporate orders are completed in Kazakhstan. Shoqan has a famous clientele, including young Kazakh singer Dimash Kudaibergen and actor Sanzhar Madi. “Thanks to Nursultan and Ulugbek, who always supported me, Shoqan is a brand of a new generation of man’s style – elegant, self-confident, capable and stimulating,” noted Kudaibergen on the company website. “I liked the boutique [of Shoqan]. They help you to choose a suit according to your body type, eye colour and hair. I really liked the costume that they picked for me. It is of a good quality and fits perfectly. Thanks to my friends from Shoqan suits!” added Madi. Currently, the clothing line includes 35 suits, 11 shirts, 18 shoe styles and various accessories. One set, which includes a suit, shirt and shoes, retails for 110,000 tenge (US$290). The suit can be purchased separately for 55,000 tenge (US$145), while the most expensive, a tuxedo, is approximately 115,000 tenge (US$303). The shirt costs 12,000 tenge (US$31.60) and the leather shoes sell for approximately 40,000 tenge (US$105). The company uses Australian wool and Caucasian merino wool for its suits and local tanning raw materials for shoes and bags. “Tourists from Australia and the United Kingdom did not believe their eyes when they saw pure wool costumes for less than $300. They bought several sets at once and wondered if we were planning to open a store in their homeland. Well, having lived for six months in Moscow, we got an idea of what kind of clothes Russian customers would like to buy. We have created a trend and are working with an audience that understands us,” said Sharipov. The founders have developed a partner package. When investing in construction of a Shoqan store, the company provides marketing and operational support. In the future, they plan to offer full-fledged franchises. NUR-SULTAN – Atyrau authorities and a private investor will be constructing a waste sorting complex and plastic processing workshop. The high-tech installation is scheduled to launch in May. “The complex was purchased at the expense of a private investor. The equipment will be delivered from Belarussian Sifaniya-Ekotekhnika company, which supplies waste processing equipment to the Commonwealth of Independent States (CIS) countries and the European Union (EU). Such equipment is already operating in Aktau, Kostanai and Zhanaozen. The last fact played a major role in choosing the equipment. The Mangystau and Atyrau regions have similar climatic conditions and the same salty clay soil,” said plant head Almas Izteleuov. Since Jan. 1, Kazakhstan has banned dumping plastic, glass, waste paper and cardboard into landfills. As a result, the Ministry of Energy and regional akimats (city administrations) have developed a set of measures for the timely disposal and recycling of solid household waste with wide involvement of small and medium-sized businesses. The complex will be located on 1,000 square meters adjacent to a landfill. The equipment is being supplied on schedule based on an agreement with the manufacturer, according to authorities, which will install the apparatus and put it into operation. A trial launch is scheduled for early summer. Some of the plastic waste recycling equipment has been received and the hangar mounted. Approximately 250-300 tonnes of solid waste are taken each day from Atyrau to the garbage landfill. The new equipment is designed to sort up to 100,000 tonnes of municipal solid waste per year and the plant will create 70 new jobs. NUR-SULTAN – Astana Opera House will present Giacomo Puccini’s opera “La Bohème” staged by Andrea Bernard April 19 and 20, reported the theatre’s press service. Mariya Mudryak and Maira Mukhamedkyzy will perform Mimi, and Medet Chotabayev and Zhan Tapin will play Rodolfo. The orchestra will perform under the leadership of Italian music director Giuseppe Acquaviva. “La Bohème is a lyrical opera, one of the most frequently performed in opera houses, and I put all my passion into this production. I believe that this is a successful production for our opera house,” said set designer Ezio Frigerio. The opera is based on “Scènes de la Vie de Bohème,” the popular novel by French author Henri Murger. It was conducted by 28-year-old Arturo Toscanini in its 1896 premiere in Turin. 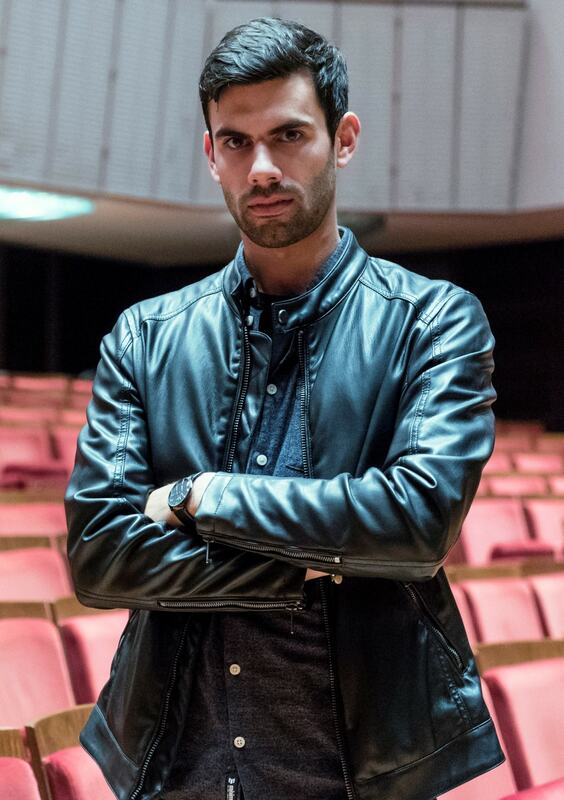 “This is my first time staging ‘La Bohème’ and it is also my debut with Puccini’s music. I will try to show my own vision of this wonderful opera. Ideas come to mind when I listen to the music and read the libretto. I always strive to understand the psychology of the characters in order to show them onstage in the best possible way. I am trying to create poetical images and stories that can excite the audience. For me, it is important to tell the audience something new and to give them the opportunity to leave the theatre with an experience that has enriched them,” said Bernard. The director decided to set the story in the early 1900s, when Paris was a cultural, industrial and architectural centre of the world. “These were the years right after the world exhibition that put Paris at the centre of international attention. At this time, cinema was born and photography and impressionist art were developed. I thought that it might be the right context to tell the story of these young people,” he said. Astana Opera Chamber Hall will also present a diverse concert programme. Young musicians and 100 New Faces of Kazakhstan winners Batyrzhan Smakov (countertenor) and Saida Kalykova (piano) will perform Gioachino Rossini’s “La Regata Veneziana” on April 21. The programme also includes works by composers from the 16th-19th centuries including Luigi Boccherini, Christoph Gluck, George Frideric Handel, Nicola Porpora, Giuseppe Valentini, Tomaso Antonio Vitali and Antonio Vivaldi. “Songs without Words,” a musical evening dedicated to the 210th anniversary of German romantic composer Felix Mendelssohn Bartholdy, will be held April 25. Opera and orchestra soloists will perform the “Spring Waltz” concert April 28. The evening will feature chamber and vocal music works by Yevgeny Brusilovsky, Shamshi Kaldayakov, Latif Khamidi, Nagim Mendygaliyev Sydyk Mukhamedzhanov, Kapan Mussin, Yerkegali Rakhmadiyev, Nurgisa Tlendiyev, Mukan Tulebayev, Gaziza Zhubanova and other Kazakh composers. “Musical Offering to Maestro” is scheduled April 30 as part of the promotion campaign for the fifth Astana Piano Passion International Festival of Classical Music and Competition for Young Pianists. International competition laureate Daniyar Yessimkhanov will play Bach’s English Suite in A minor, Beethoven’s Sonata No. 31 in A flat major, Liszt’s Ballade No. 2 in B minor and Rachmaninoff’s Five Preludes. NUR-SULTAN – Surgeons at the capital’s Presidential Hospital are expanding their capabilities in robot-assisted surgery. Using equipment which reduces blood loss and operation time, they have begun doing new procedures to remove kidney tumours and uteruses. The training centre opened in November. “The main advantage of the robot is higher accuracy and better magnification, which leads to less blood loss and faster recovery. The robot is completely under the control of the surgeon. It is an effective tool that in the hands of an experienced doctor leads to a better result and saves lives,” said David Samadhi, an American urologist who advises surgeons on robot-assisted technology. An ultrasound device, the world’s first working with a Senhance surgical robotic system, was applied during urological surgery to remove a kidney tumour. 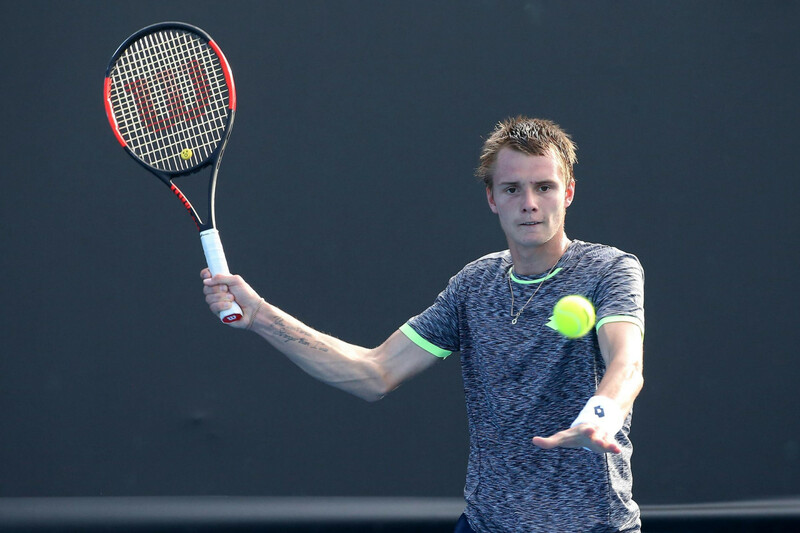 “This is really a very difficult operation and it was successful. It was easier, of course, to remove the kidney, but we did an operation to preserve the organ. The so-called partial nephrectomy of the left kidney, that is, its partial removal, was carried out. The kidneys and the functions of the organs are preserved and she will continue to live as an ordinary, healthy person,” said surgeon Yerlan Yensebayev referring to a recent patient. Hospital gynaecologists have already begun laparoscopic robot-assisted surgery by using the Senhance installation to remove an ovarian cyst and completely remove a uterus and uterine tube. Gulbaram Basharova performed a total hysterectomy using the robot. “A total hysterectomy is the removal of the uterus and adjacent organs. The patient had a pathology of the cervix and fibroids. Today, for the first time in our hospital, we used the radio tool to perform such an operation. It allows surgeons to perform internal manipulations much more accurately and efficiently,” he said. Fifty-five complex operations have been performed at the hospital using robot-assisted technology. The robotic operating room is a modern, effective method of surgical treatment in urology, gynaecology and general surgery (when internal organs are operated through small openings on the patient’s body). Additional benefits for surgeons using robots are multiple image magnification, completely eliminating shaking hands and protecting against errors. The advantages for the patient are no large incisions, minimal blood loss and fast recovery.